Debbie Cook has grown up raising and showing horses most of her life, developing a passion for horse shows and these beautiful animals. Each year, her and her family looked forward to competing at the Ravalli County fair. After moving away to attend college, Debbie Cook continued her passion for horse shows. While attending college in Socorro, New Mexico, Debbie worked with horses for a paint horse breeder at a ranch in the same town. In 1983, she won the Socorro County Fair Queen contest. 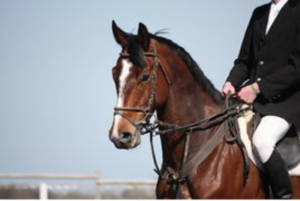 Each event offers a unique way of appreciating and admiring horses and their owners and trainers for specialized skills and artistic movements. Training a horse creates a special bond between the trainer, the horse, and nature in general. It is a special experience that Debbie Cook is glad to have been taught at a young age. Debbie Cook not only enjoys horse shows, she also enjoys raising horses and making connections with the animals. Horses are big and majestic creatures that inspire adventure in Debbie. She gets a similar feelings of freedom and excitement riding horses as she does while scuba diving, being a part of nature and the world around her. Similar to dancing as well, showing horses is about art, beauty, strength, hard work, discipline, and creativity.